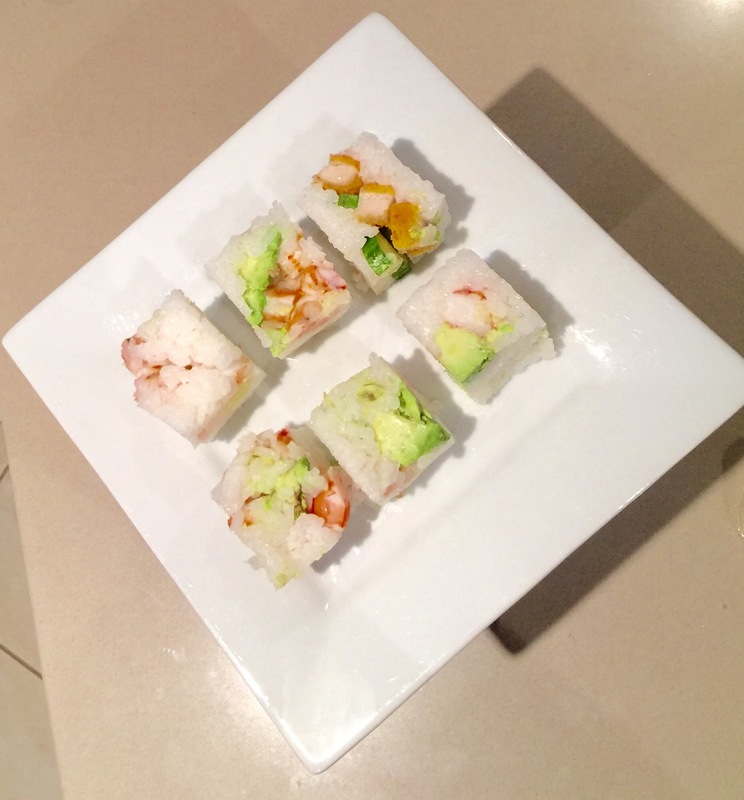 This year I discovered I loved sushi, it’s quick, easy and delicious. I’m not alone in my love for sushi with Master 6, Miss One and Mr Tink also being huge fans and often ask me can if make them homemade sushi. Now if you’re a regular Mrs Tink reader you will know cooking is not my thing… My thing is eating! In a bid to impress my family I bought a sushi rolling kit and got to work thinking to myself ‘How hard can it be? It’s just rolling all the ingredients together’… WRONG! 2 hours later my family was starving and I had rice everywhere. The S word was banned from the kitchen with the F word being over used as I cleaned up my mess. Recently my Sushi woes took a turn for the better when I was asked to review the Rice Cube and the Dumpling Cube, as soon as the interesting contraptions arrived I was instantly dazzled, the clever innovative designs not only looked great but the concept was like nothing I’d ever seen before. 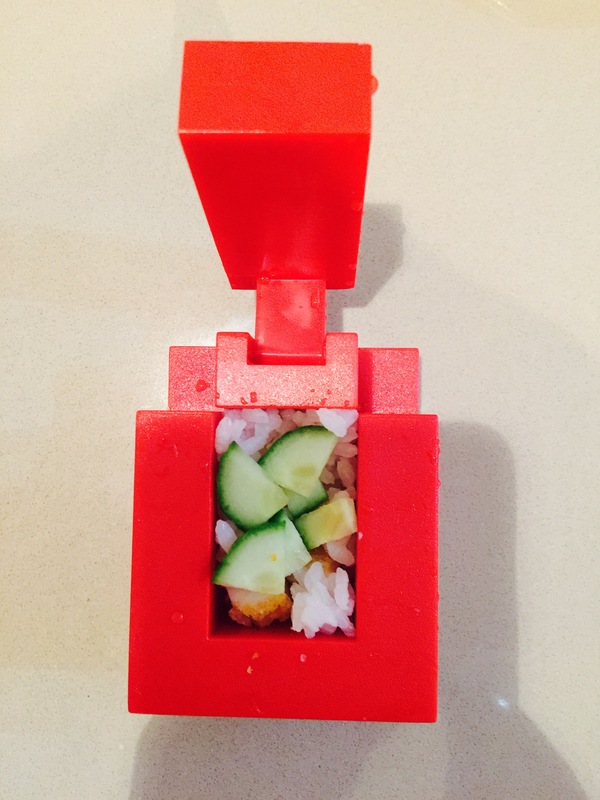 To begin my review I started with the Rice Cube which required no mats and no special rice, I only had to load my ingredients (cooked white rice, chicken & avo), close the top, press inwards, and pull back the top… BOOM! Sushi in a cube! It’s so easy I think Miss One could do it, although given that I was enjoying it as much as I did I wouldn’t allow anyone else a turn. Sushi easily and it made for a super quick dinner that everyone enjoyed and wanted more of. Still on my sushi high I decided I would try the Dumpling Cube which conveniently made 4 individual dumplings I decided it was time to make the family dessert. I grabbed some tinned apple pieces and some pastry, followed the instructions to load the contraption, pressed down and BOOM – mini Apple Pie dumplings. I brushed them with oil, cooked them in the oven until brown and then served them with ice cream resulting in one very happy family. 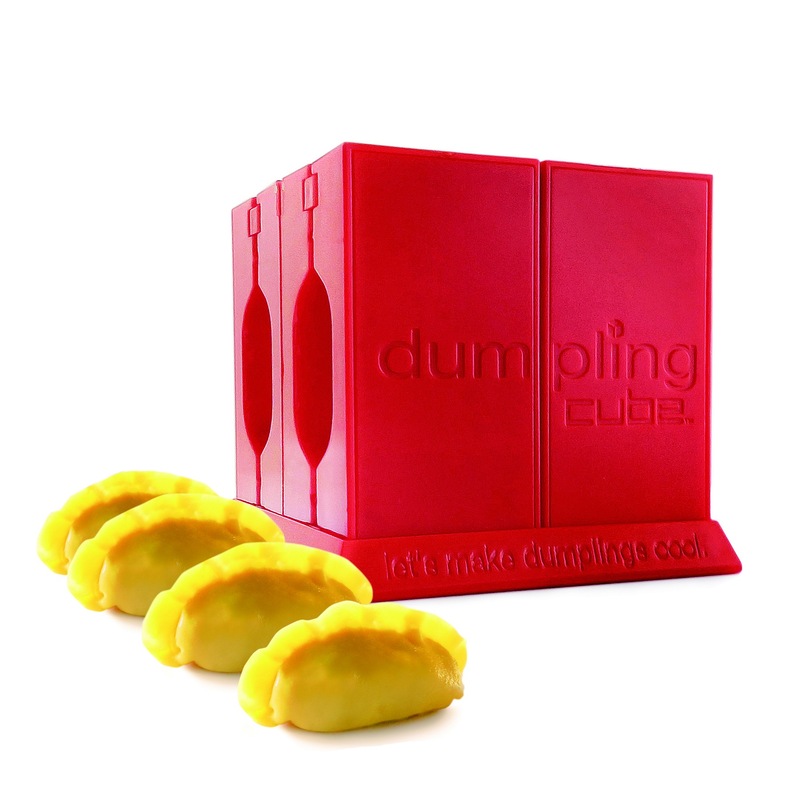 The Rice & Dumpling Cube are a great gift idea for that someone who is hard to buy for, such a clever idea that will bring out the inner chef even in the biggest rookie (like me). This Christmas my friends at the Rice Cube & Dumpling Cube are giving one lucky reader the ultimate present – their very own Rice Cube and Dumpling Cube to try at home. For a chance to win simply share with me your favorite Christmas food? Rice Cube is the world’s fastest sushi maker using standard rice to make sushi helping reduce calories by removing the need for adding sugar to make sushi rice. 3 Year old children can make sushi and healthy rice snacks and meals and because children can use it themselves they will eat it, making healthy rice fun. Australian Designed and owned. Winner of the Best Product of the year awards in France, UK in 2013 and USA in 2015. It would have to be what I call the all day Christmas graze. Just a mismatch of foods that for some reason on that d as y go together in any order from first to last of the day. Trifle is my favourite. So easy to make, you can put just about anything you like and no one ever makes out just how many “taste testing” fingers have been dipped in it… it’s simply delicious. Lamb on a spit paste with lemon juice, garlic and herbs , rotating for 4 hours until cooked to perfection. I like the big bowls of dodgy Christmas lollies. I’m glad it’s only 1 day their way too weird to eat all the time. I like the sit and chat and you tilt the lollie bowl looking for the one you like best although your not sure which one that is since it has been a year. For me, above all else, it’s all about the pav. It’s a must. Topped with strawbs and peppermint crisp; mango; berries; or any variety really, I must have my pav. And the bonus is always a slice for breakfast the next morning. It’s the only time of the year this is allowed in our house. My Pandan Jelly with coconut. Green sweet & refreshing for a summer Christmas! Love turkey and making turkey, cranberry and brie pizzas for boxing day lunch! These little contractions look fantastic. I love making dumplings but they are so fiddley to make. My ingredients always seem to come out. My favourite Christmas dish would have to be a yummy moist pork roast with crunchy crackling. I found this recipe a few years ago, and have enjoyed every Christmas since, it’s a 12 hour slow cooked pork in Apple cider, it’s melt in the mouth and you put on the night before, and all love it. I make my nan’s rum balls. They’re so rich and velvet like pure chocolate but with the kick of rum to make sure you know you’re still alive. I put a three rum ball limit on all drivers.